Avery Dennison Label and Packaging Materials has had its CleanFlake portfolio named Top Product of the Year in the Environmental Leader Product & Project Awards. CleanFlake is a patent-pending adhesive technology that ‘switches off’ when submerged in a recycling bath so the label cleanly separates from the PET flakes. Although these labels adhere firmly to PET bottles or containers during use, they detach readily in a conventional recycling facility and float to the surface of the bath, allowing clean PET flakes to sink to the bottom for easier reclamation. An Avery Dennison Greenprint lifecycle analysis showed that if 50 billion sq in of typical pressure-sensitive labels were changed to CleanFlake, there would be a 75 percent reduction in solid waste. This amounts to more than 53,000 tons of waste – the equivalent of the waste generated by more than 20,000 US households. Avery Dennison added that direct printing, paper labels and standard pressure-sensitive labels applied to PET bottles tend to lower the recycling efficiency and the quality of recycled PET. In 2010, 1.5 billion lbs of PET were collected for recycling in the US, yet reclaimers reported yield losses ranging from 24.4 percent to 32.2 percent due to contamination by labels, adhesives and other components – amounting to a loss of over 40 million lbs of bottles. This is the seventh industry award Avery Dennison has received for the CleanFlake portfolio. The company received the Sustainability Award at Labelexpo Europe 2013 in Brussels and the Global Green Award during Labelexpo Americas 2012 in Chicago. In addition, it received the Society of Plastic Engineers Environmental Award in the Design for Sustainability category in 2013 and the Koreastar, Asiastar and Worldstar packaging awards between 2012 and 2013. 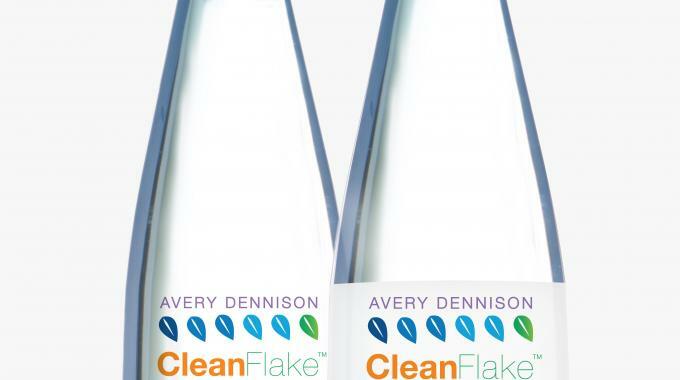 Don Nolan, president of Avery Dennison Materials Group, said: ‘We are excited that our CleanFlake portfolio has been recognized by Environmental Leader.